Terika is an Australian based world music / jazz fusion trio which combines Tibetan folk, smoky saxophone and mellow cello to create a truly unique toe tapping mystical musical experience. 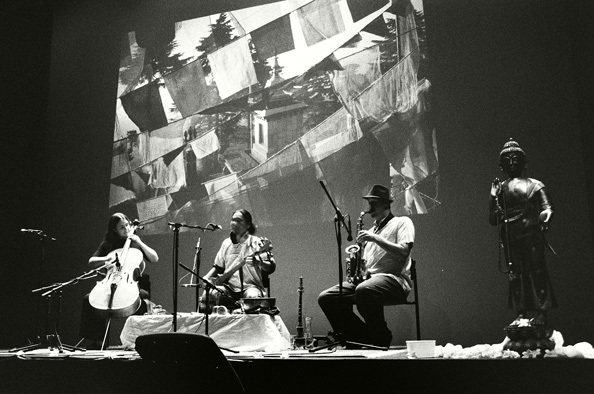 Terika features the creative talents of River Petein on saxophones, Katherine Philp on cello and Tenzin Choegyal who plays traditional Tibetan instruments and provides the soaring vocals. Their musical mastery is matched by their passion for sensitive collaboration, merging the ancient and modern, east and west, secular and religious. The result is an intriguing musical tapestry, rich in its rhythm, melody and meaning. Terika’s double album “acousticaelectronica” (2007) is available for mail order or download from EthnoSuperLounge.